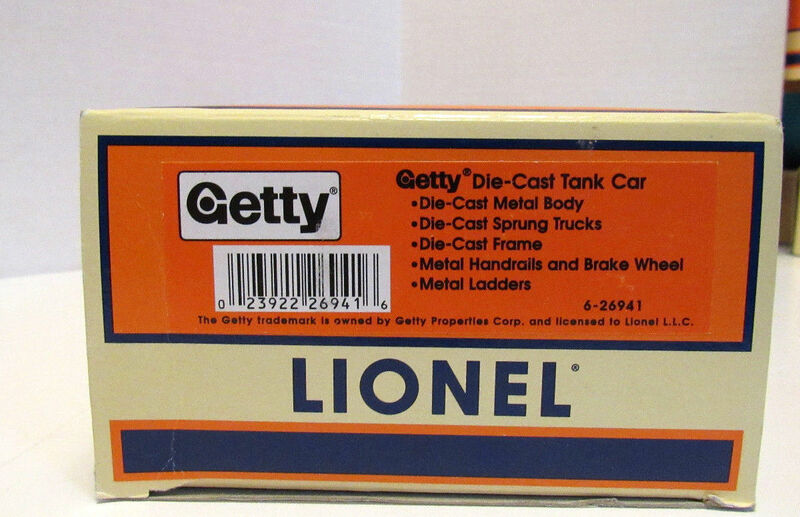 Here is a Lionel 26941 Getty Semi-Scale Die-cast Single Dome Tank Car. This car features die-cast metal sprung trucks, die-cast metal operating knuckle couplers, and metal wheels and axles. BNIB Only taken out for pictures.